The Pulsar Recon X970 offers great performance in a lightweight and compact handheld unit. 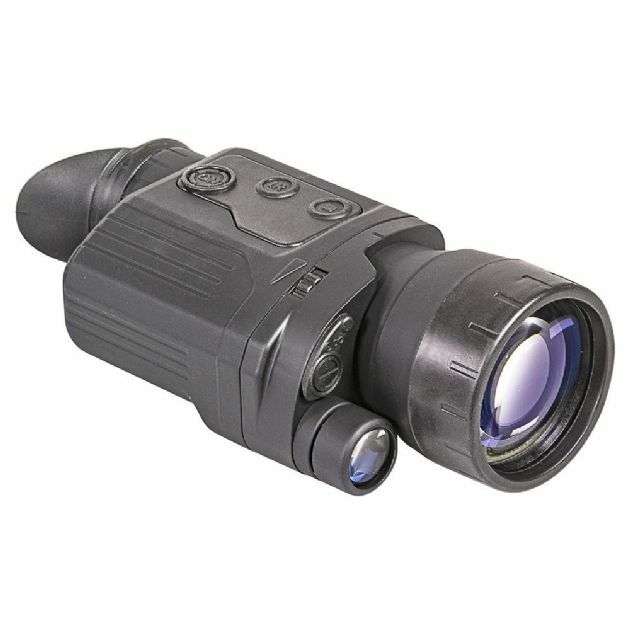 The Pulsar Digiforce X970 is a compact and light weight Digital Night Vision Monocular. Offering great performance, the unit is resistant to bright light exposure. The X970 features a 4x to 8x magnification, and provides a detection range of up to 450m depending on environmental conditions. It is equipped with a sensitive CCD array in combination with the latest software, enabling the Digiforce X970 to be used in low light environments without using the built-in eyesafe 915nm Laser IR illuminator. The 640x480 AMOLED display provides a crisp and detailed images even in sub-zero temperatures and the underside of the unit also has a video-out port. The Digiforce X970 features a mount fitting which combines a ¼" tripod socket (to enable tripod mounting), a Weaver short rail to enable mounting different accessories, including; auxiliary IRs, sound amplification, EPS battery packs and other systems.